Please click on the image above to download a pdf copy of our map and directions. 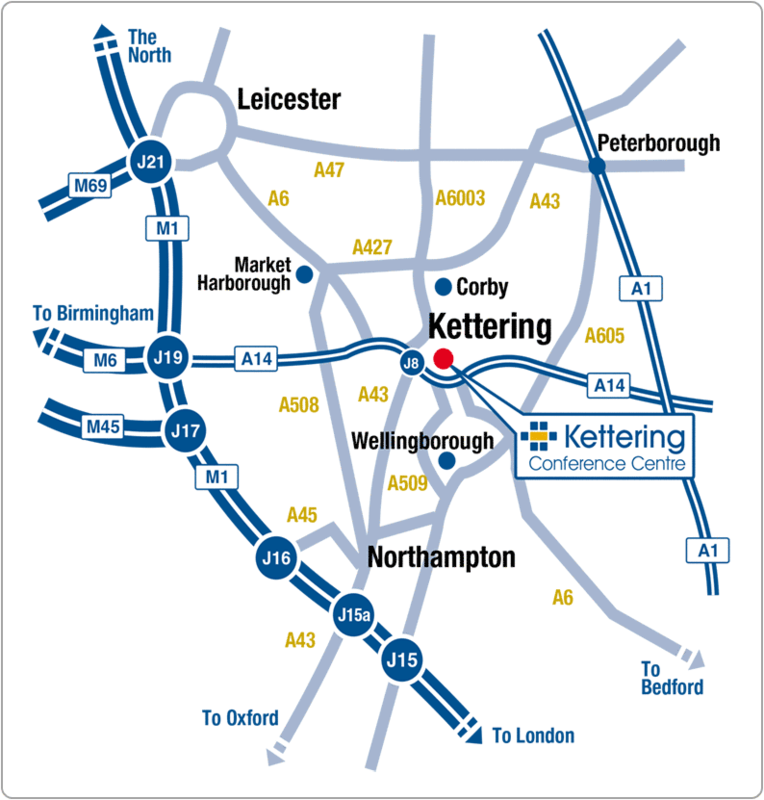 For information on Hotels in Kettering visit our Hotel page. At the mini roundabout turn right (signposted Conference Centre). The venue has car parking spaces for 600 vehicles and additional space for 12 coaches. Kettering Station is 15 minutes walk away. Trains to and from St Pancras International and Eurostar about every half hour and take 55 minutes.